Need help with homework? 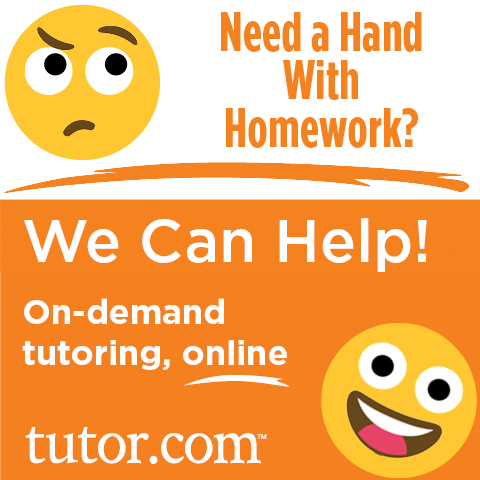 Try Tutor.com! All students now have access to Tutor.com through the Cranston Public Library’s website. From 2:00-10:00 daily, students can connect with a live online tutor and receive individual homework help in any subject area. You are limited to five sessions a week and you must have a valid Cranston Public Library card to enter the site. Click on the icon to the left to be taken to the Tutor.com portal. 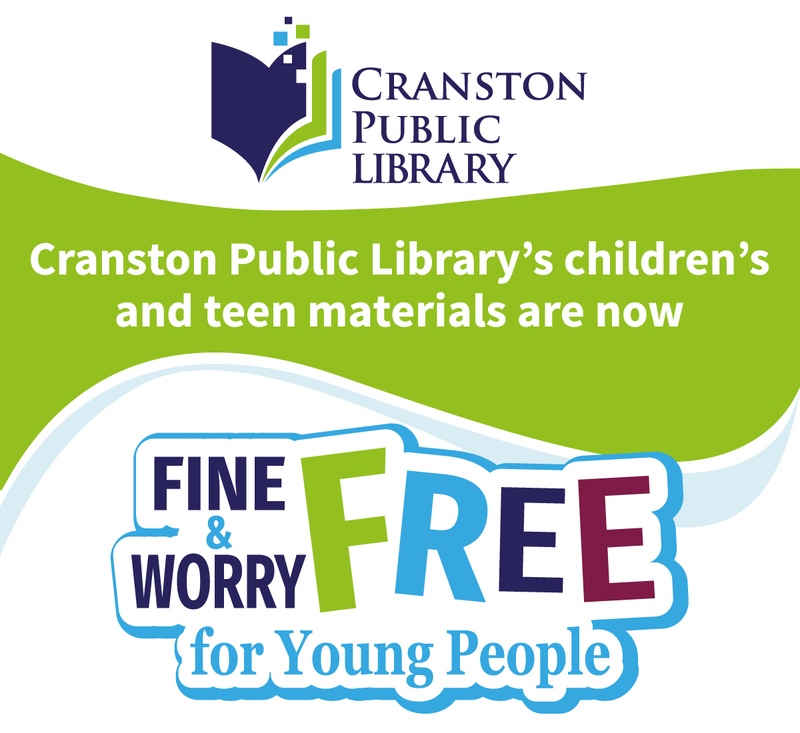 Remember Cranston Public Library no longer charges fines for overdue children's books. Watch the video below and start taking advantage of this free resource today! The library is open on Monday, Wednesday and Friday for the 2018-2019 school year. Students may visit the library with their classes or with a pass from their teacher. When entering the library with passes, students must sign in at the counter. When leaving the library, students should sign out and have their passes signed by Mrs. Steward. Check out a book. Students may borrow up to 3 books at a time. Books may be borrowed for 3 weeks. The due date is written in the back of the book. Students who return books late will be charged overdue fines. 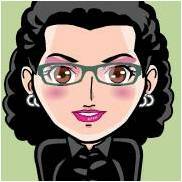 If a book is lost or damaged, see the librarian about replacement costs. Borrow books through inter-library loan. See the Interlibrary Loan Policy by clicking on the tab above. Do research for school assignments. If you would like to look up any books or materials here at Hope Highlands, use the Library Catalog. Look up by Subject, Keyword, Author, Title or Series. Ask Mrs. Steward if you need assistance. Hope Highlands: Mon., Wed. and Fri. 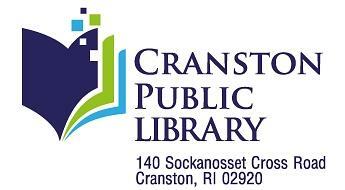 Check out the Cranston Public Library! Click the icon below to go to the web site and CPL on line catalog.